Assassin’s Creed Odyssey will offer additional post-launch content in the form of Assassin's Creed III Remastered and two more story arcs to those who purchase the Season Pass or the game’s special editions. In a blog post on Thursday, Ubisoft announced post-launch content for its upcoming title set in ancient Greece. A remastered version of Assassin’s Creed III (including all downloadable content in Benedict Arnold missions, Hidden Secrets Pack, and The Tyranny of King Washington) and Assassin’s Creed Liberation will be included with the Season Pass, Gold Edition (Rs. 6,999), and Medusa Edition (Rs. 8,999). The remasters will support 4K HDR on PS4 Pro, Xbox One X, and PC. The two post-launch story arcs will be released in December and spring 2019, respectively, in an episodic format every six weeks. The first is called ‘Legacy of the First Blade’ and will introduce players to the first individual to ever use the Hidden Blade, the weapon that’s at the centre of Assassin’s Creed. The second is called ‘The Fate of Atlantis’ and will take you to the underwater city of Atlantis, pitting you against mythic creatures. For those who don’t wish to spend the minimum Rs. 3,000 extra for additional content, Ubisoft has free post-launch content in store as well. Called ‘The Lost Tales of Greece’, these episodic stories will release between the paid post-launch episodes, with “quests that feature new and familiar characters”. There will also be daily and weekly in-game events. 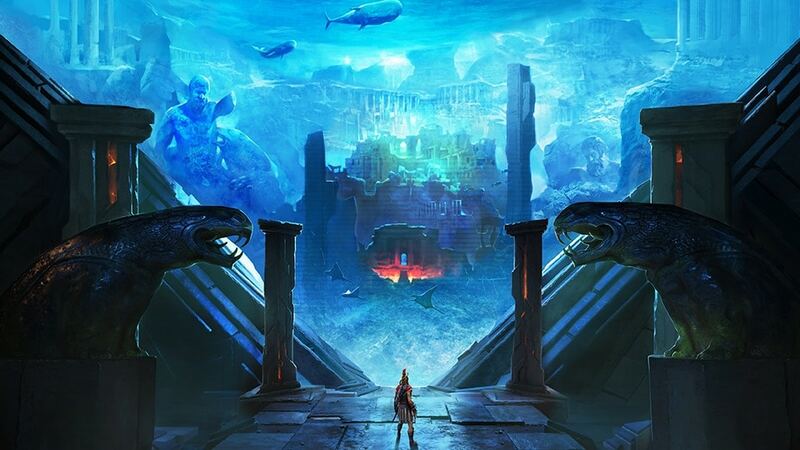 Odyssey will also have a free explore mode called Discovery Tour just as last year’s Origins, which will provide guided tours about ancient Greece. Lastly, a New Game Plus mode will be available to all players as well post-launch. Assassin's Creed Odyssey releases October 5 on PS4, Xbox One, and PC. Players who pre-order the Gold or special editions will have access to the game starting October 2.